Add a little pizzazz to your boho vibe with the Born St. Joe. 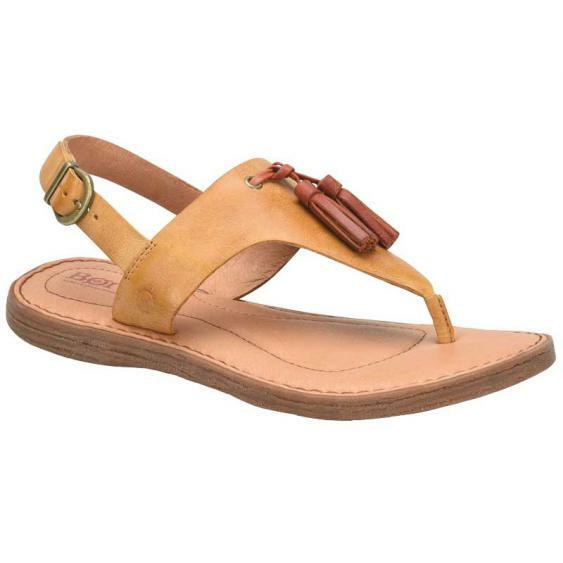 This women’s t-strap has an upper made of full grain leather with a playful tassel. An adjustable ankle strap creates a snug fit and the leather linings are easy to break-in. The footbed of the St. Joe is leather covered and generously cushioned and these sandals are crafted from Born’s Opanka Construction making them really lightweight and flexible. With a rubber outsole for traction, the Born St. Joe is a sandal worth having.